Another addition in Pakistani clothing brands, Mahpara Khan a very first collection introducing by this designer. Mahpara Khan Luxury Lawn 2019 going to launched on 4th of April 2019 nation wide. Some days before i have seen a facebook ads during surfing or looking this brand profile. 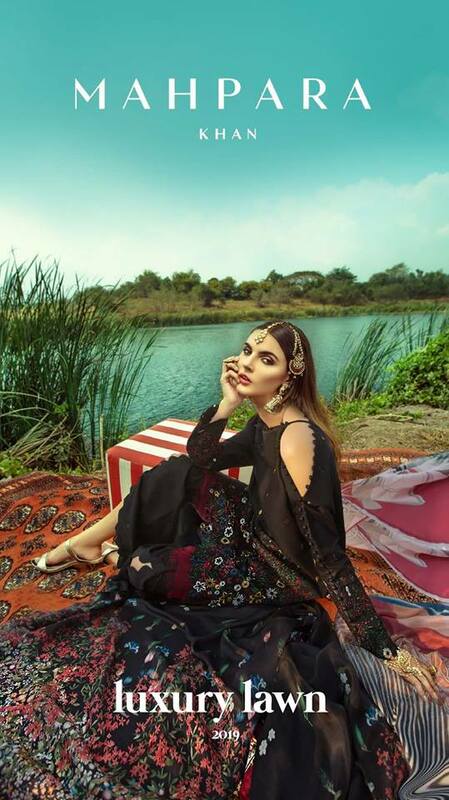 A amazing designs of black dresses with very unique prints and embroidered pattern showing the story of this brand. I really impressed by fashion sense of this designer. So scrolling down or want to know more about this brand or know that another brand come to steeling your heats. So Mahpara Khan Luxury Lawn 2019 going to launching very soon or hope these dresses become a trends setter in Pakistani clothing market. Here we presenting very first look of Mahpara Khan Luxury Lawn 2019. These dresses have very unique style and pretty work of embroidery to giving you stunning look in summer. The designs instil a love for design and painstaking craftsmanship, with the vision to create designs that women can wear on momentous occasions. Post modern art fused with centuries of our culture and heritage” is a Motto of this brand. Stitching style of this collection also gorgouse and really introducing some crazy trends in stitching. I really like some dresses in this collection of hope these designs become hit designs if this collection. Colors combination is very well or awesome mixture of bright and bold colors. Mahpara Khan Luxury Lawn 2019 is very first collection of this brand so i don’t know about quality of fabrics but accepted they also provide prime quality lawn fabrics. Second thing is prices are economical you can buy each unstitched dress of this collection in 5,445.00 PKR. 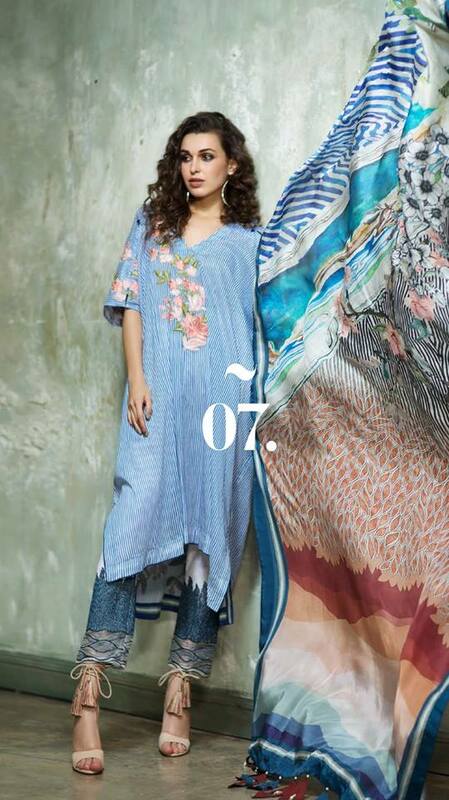 So here we published complete catalog of Mahpara Khan Luxury Lawn 2019 hope you like these latest brand collection. Or want to update your style in 2019. A black magic with very unique cut and style, fulfill with bold dynamic prints also giving you prominent look with sophisticated style. A rich embroidered dress with amazing embroidered pattern and ivory color look stunning or defiantly give marvels look with contemporary clothing. A fine work of embroidery on neckline and sleeves extra adorned with beads and you can applying tassel on dupatta. So really a impressive attire for your festive need.